What are Basic Income Grants? Undoubtedly, you’ve heard us mention “Basic Income Grants” that we distribute to certain beneficiaries of our program. 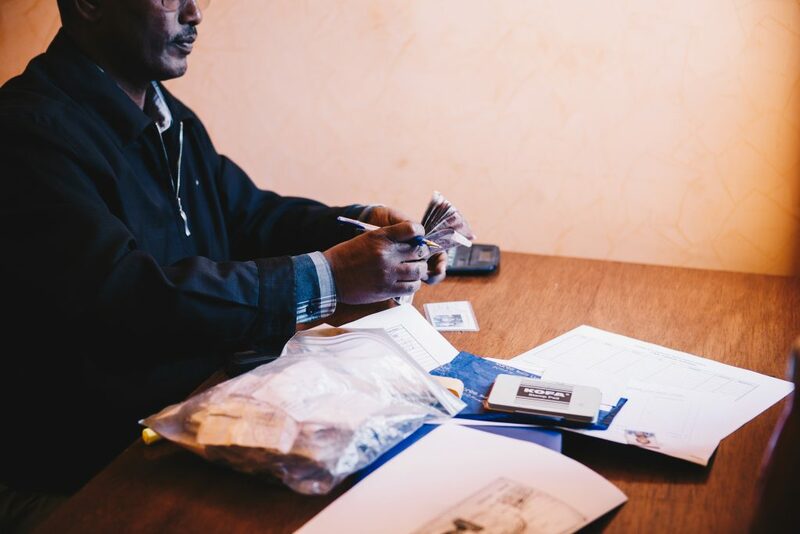 While this is common language around the Ethiopia ACT office, we understand you may not have a full understanding of what this term means, why we would distribute such a thing, or how it is helpful in the long term for our beneficiaries. So, in order to uphold our promise of transparency and impact reporting, we will take a deep dive into explaining what Basic Income Grants mean to us and our beneficiaries. The grants Ethiopia ACT distributes are probably not what you would immediately associate to being a grant; they are not a one-time grant for one specific purpose. Technically they are called Conditional Basic Income Grants (CBIG). These grants are regular monthly payments (what some might call welfare) for either an indefinite period or for some set period that is usually for an extended time, like years, and that recipients have to meet set conditions to continue receiving. Ethiopia ACT founder, Andy Warren, first discovered this concept when he stumbled upon this article How a Basic Income Program Saved a Namibian Village. Having seen many, many other NGO development strategies fail, Andy has always been open to new ideas. As it turns out, basic income grants are not new. In fact there is a fair bit of research out there. An informative book which covers all this is Just Give Money to the Poor – Joseph Hanlon. Because this approach is very countercultural to what we have always heard as Americans, it can often be a hard sell to donors, in all honesty. But the Ethiopia ACT leadership team decided a couple of years ago to give CBIG a try. The research seemed to show that if families had some kind of guaranteed income, they would usually manage the money wisely and even be willing to take some risks in starting or expanding a small business. Grants like this don’t cover everything a family needs, but they do help while also providing a sort of safety net. We selected a subset of our beneficiary families and started electronically depositing a set amount of money in their bank account each month. They no longer received rent support, food, or educational support for their children. They had to report regularly to us on their family and health situation, with the requirement that their children stay in school. Since its implementation, Ethiopia ACT staff has done evaluations every three months. At first people didn’t understand the grants and were suspicious. We learned some families just weren’t ready to participate in a program like this. But over the years it seems to have caught on and is beginning to have the impact we hoped for. More families in the project are coming and asking to be added to the CBIG program. We hope, and it seems likely, that these grants will help families become self-supporting even faster. Additionally, because the CBIG program requires less staff to manage, if more families are added to this program, it will enable us to add more families to the Ethiopia ACT project. We are encouraged seeing this strategy begin to gain more attention in the world wide press. Several countries, including Canada, have experimented with grants like these. Ethiopia ACT is the only NGO we are aware of that is experimenting with the strategy while also carefully tracking the outcome and impact. This is the kind of thing that makes Ethiopia ACT so different from other groups, and something we are very proud of! Awesome blog & program, I pray for God to continue to bless you & the beneficiaries of Ethiopia Act! Thank you Irene! We are so thankful for your support! Great that data is being collected over a longer term and will be analysed.